I am so sorry about your friend, Joanne. I have work colleagues who have become lifelong friends, so I know what a hole that loss would leave. I'll be thinking of you. 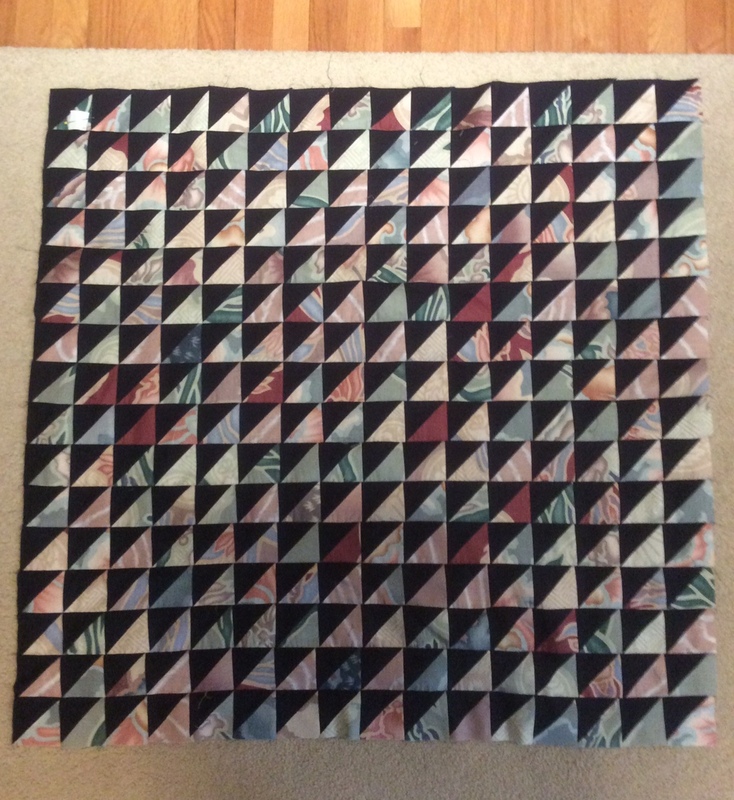 I like your triangle quilt top - a fun way to use up some leftovers! Oh, Joanne! I am sorry for the loss of your quilting buddy. I can't imagine how bereft you must be feeling. It's good that you are able to return to the activity the two of you loved. 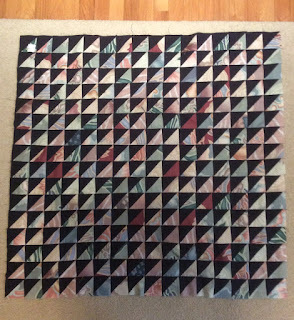 Wishing you peaceful piecing in 2019! How ad to lose your friend so unexpectantly, I'm so sorry for your loss. So sorry for your loss. I hope your quilting and memories will keep you going. Joanne I'm so sorry for your loss.